what about your current platform? You're ready for the Cloud, but what about your current platform? Are you ready for true digital transformation? Then it’s time to move your on-premise platforms and applications to the cloud. AKA can make it happen with a Platform Rebuild. Our Cloud experts can help replace expensive, rigid platforms like Oracle with SQL Server 2017 and Azure. 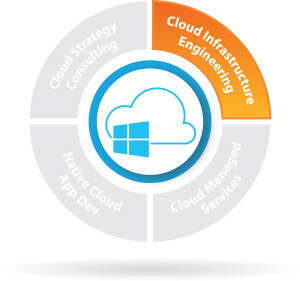 Simply put, a Platform Rebuilt is a migration of technology to Azure. Often, an organization has an application or tool that runs on their current platform–like Oracle–but they don’t have the right license to run it in the Cloud. Licenses can be prohibitively expensive, so what’s the option? A Platform Rebuild that moves your from your old platform to SQL and onto the Cloud. Even if you have a license that can port to the cloud, or your license costs are getting out of hand, it’s the perfect opportunity for a Platform Rebuild. By moving into the Cloud, you can eliminate some of your license costs, which frees up that revenue to pay for your project (not to mention the benefits you’ll see by operating in the Cloud). What about dated technology that’s overdue for an upgrade but you’re not quite ready for the big step? Again, time for a Platform Rebuild. We use tools that automatically search and identify what needs to be changed in the code, which we can take care of as part of your rebuild. If an upgrade is in your future, but you aren’t quite ready, we can help you maximize your current system while getting you onto the Cloud with a Platform Rebuild.